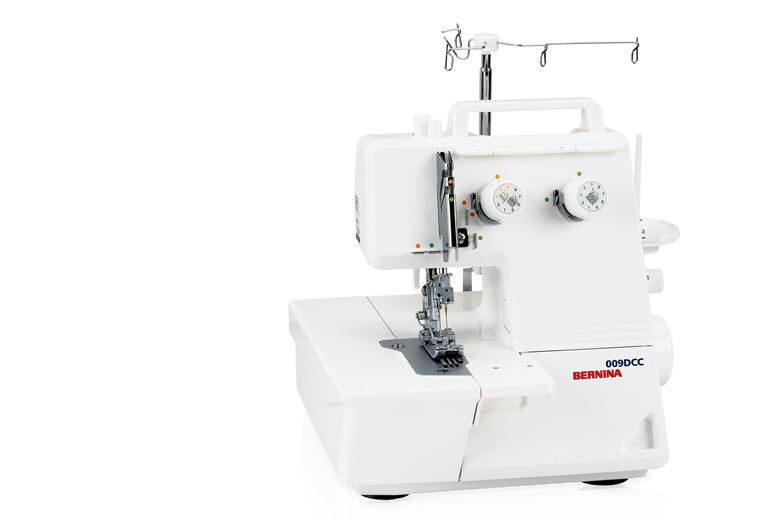 The BERNINA 009DCC is also great for sewing home dec and craft projects as well as for embellishing with decorative threads. And the best part is – there’s no need to convert from regular serging to chain or cover stitching. The 009DCC is always ready to complement your BERNINA sewing machine and serger. Press down the threader, thread looper; release the threader – threading could hardly be easier! With pajamas, joggers or summer dresses, nothing should rub against your skin. The coverstitch lets you sew perfectly flat joining seams for superb wearing comfort. Measuring 5 mm, this coverstitch is the precise width most often used in off-the-rack clothing, so it will truly have you sewing like a professional!